Sometimes a story comes to light that genealogically speaking just warms your cockles. 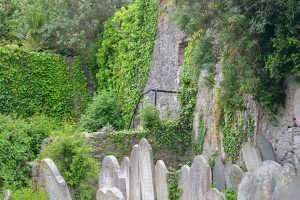 In late September Sarah Waddington, of The Herald in Plymouth, England, reported on a chance discovery by a local man that has turned into a genealogical gem for those with ancestors in the area – a 300 year old Jewish cemetery. 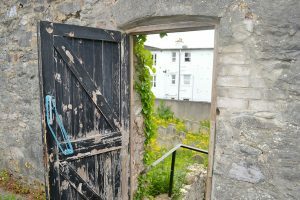 Jerry Sibley, the Synagogue caretaker (himself not Jewish), discovered, behind a high wall and a locked door, the original resting place of the early jewish inhabitants of Plymouth. How this cemetery got “lost” is unknown but few in the area seemed to know of its existence. As Sarah writes in The Herald: “After seeing a reference to The Old Jewish Cemetery on Lambhay Hill, Jerry went in search of it – but was still unsuccessful. That’s when he used his initiative and utilised Google Maps. “I started to look at every single plot on the road,” he said, “and that is when I noticed there were three legs to Lambhay Hill, not just the two, and eventually I found this lovely green spot that seemed to be nothing. I thought, ‘Well, it is a very good chance it is going to be there. “I really zoomed in on it and you could just make out a couple of the headstones, so from there I came up to take a look, but I could not get in, so the treasurer at the time gave me a whole box of keys and said, ‘Help yourself’. 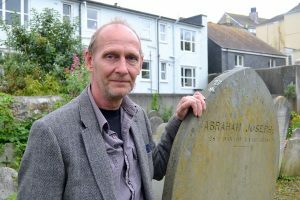 The folk from Ripple Theatre, a local theatre group, helped Jerry clear the site of weeds and trees and then recorded dramatised histories of the “residents” of the cemetery as an audio trail, just in time for the Plymouth Art Weekend. Their efforts have created a valuable and lasting legacy for historians, descendants and those who are just plain curious about those buried on Lambhay Hill. When Barney passed away Jerry obtained permission to bury him inside the cemetery grounds. As is the Jewish custom visitors have honoured Barney as they have the others buried there by placing stones on his grave. You can read the whole story, and watch a video interview with Jerry Sibley, HERE at The Herald.